This adorable little baby brush and comb set is handy for baby's first years, then becomes a memento to cherish thereafter. Both pieces feature white plastic with engravable silver trim. 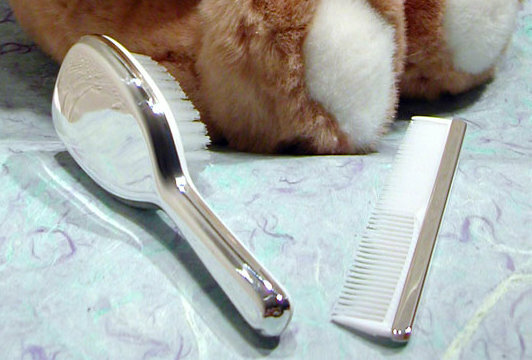 Consider this charming baby brush and comb set for your next baby gift. Engraving will be on the brush but due to size and amount of text may not be able to engrave on the comb.